Favorites? I love those cupcake measuring cups. I would use them for baking everything, not just cupcakes. And that cupcake kitchen towel. I love the colors. They’d look so beautiful in a picture on my blog. Idea noted. And finally, that cute cupcake baker. Adorable. Must have. 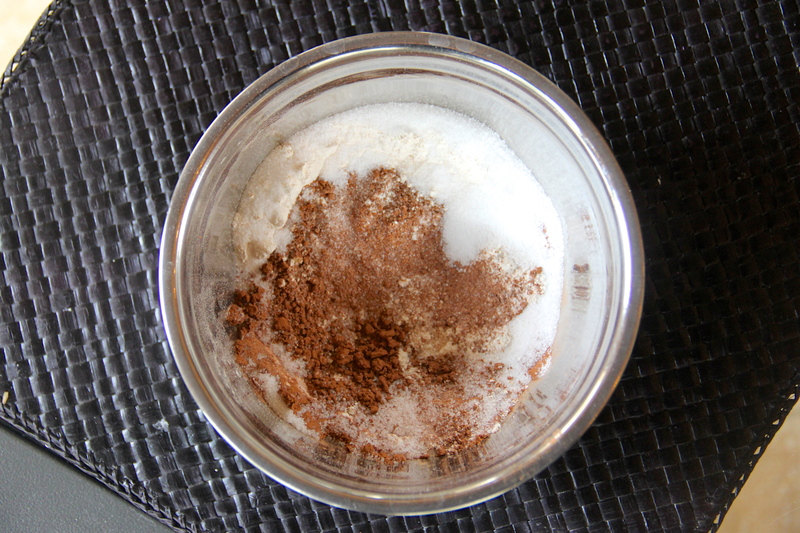 Mix dry ingredients together. 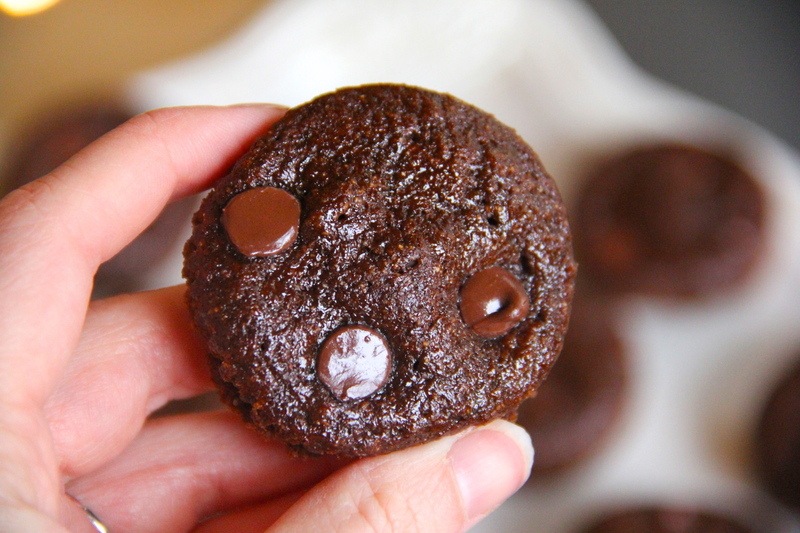 (Do not add in chocolate chips). Next, mix wet ingredients in a separate bowl. 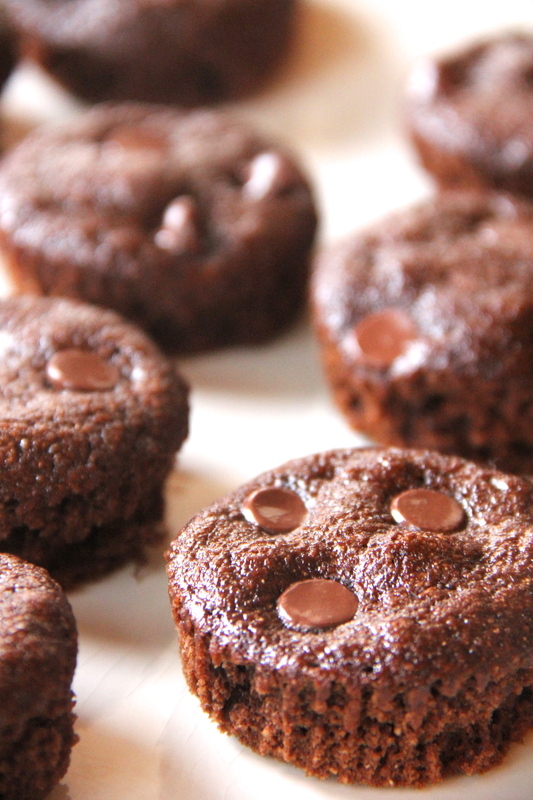 (Do not add in chocolate chips). 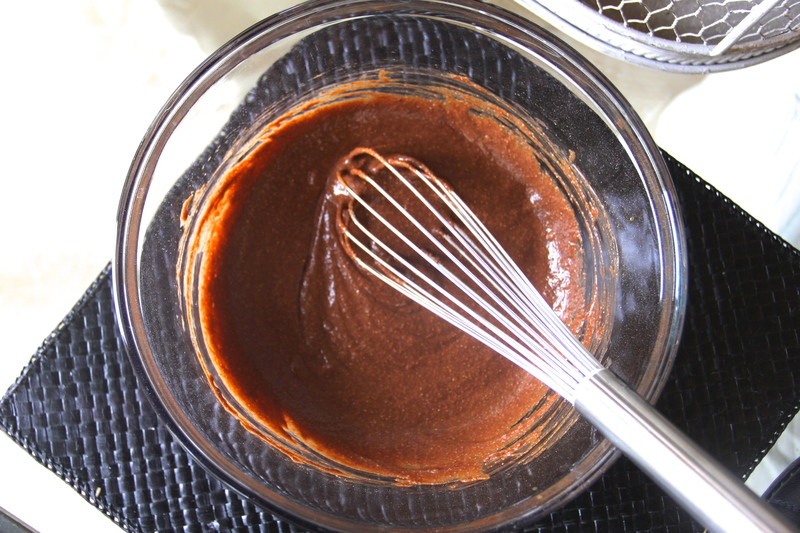 Afterward, combine both wet and dry ingredients. 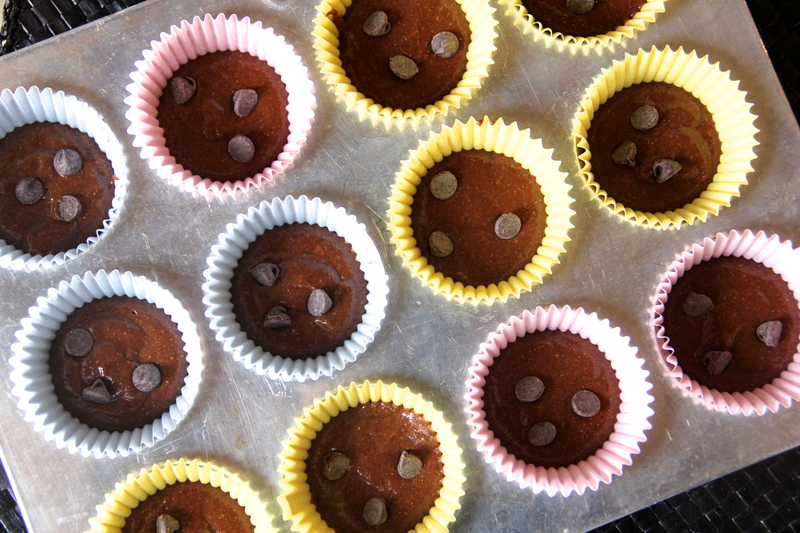 Once nicely combined, pour mix into twelve cupcake holders, lightly greased with non-stick spray. 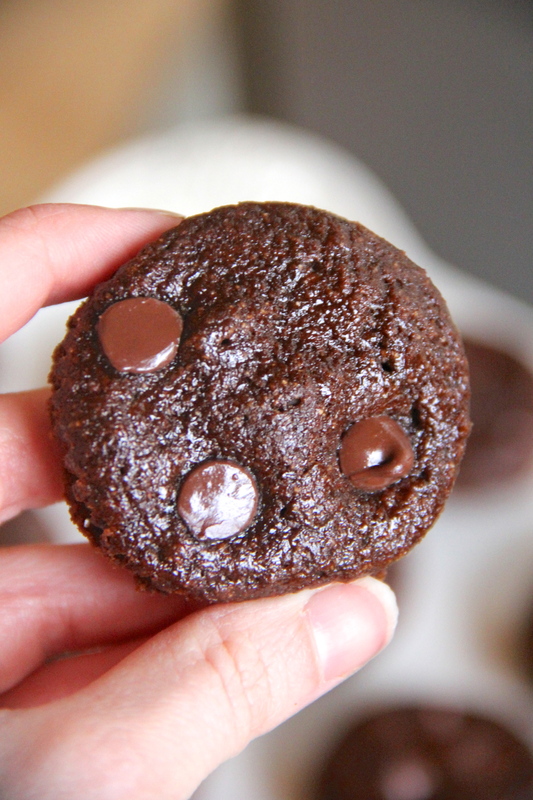 Add chocolate chips to each muffin. Pop muffins in the oven for about 12 – 14 minutes, or until stiff to the touch and baked through. Allow to cool for five minutes before enjoying. PS I meant to ask. Is it weird to you that this recipe contains pumpkin and yet tastes pumpkin-less? I love pumpkin for that exact reason. Seriously versatile, not overwhelming. Bye bye to fall’s claim on pumpkin. I welcome it year round. LOVE. These turned out so well. 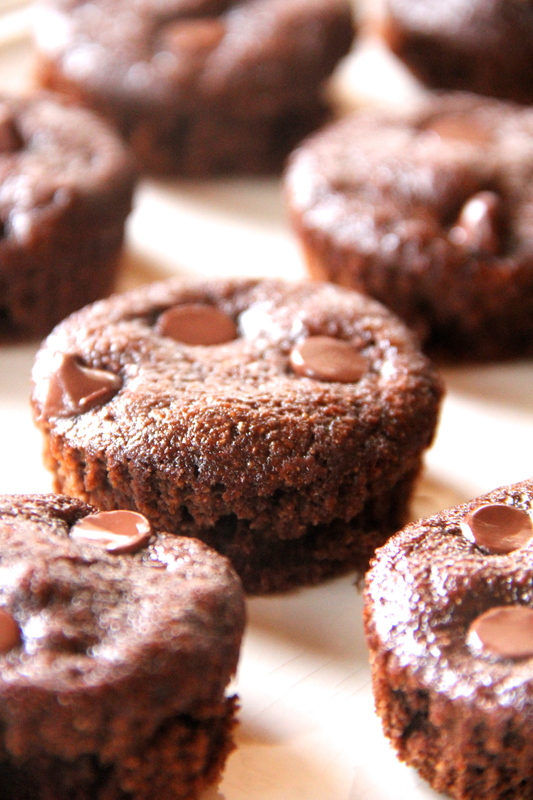 I had two very minor variations: 1) I used a mixed pumpkin/banana puree instead of just pumpkin, and 2) I threw one serving of Lily’s chocolate chips into the batter (which added about 5 calories to each muffin). Thank you for creating this recipe!